Marketing is about people. Everything we do seeks to inspire, engage and convince. Don’t have the right marketing skills? Relax, we do. "Marketing is not about doing one thing – but rather knowing how to combine a range of activities to achieve the desired results. We believe in aligning our clients’ marketing strategies with their business objectives, so we’ll never recommend something just because we know how to do it. It’s why our clients stick with us. " We’re a Durban based marketing company that is passionate about helping businesses grow. We use the vast array of traditional and online marketing tools, platforms and techniques available to find, engage and ultimately deliver that wonderful thing called ROI. Our love for people and marketing (in that order) is what gets us jumping out of bed every day! I would like to express my gratitude for your creative effort towards building our brand already we can see great movement, traffic and growth in our brand. Renu specialises in renewable energy predominantly for the commercial sector and we needed to attract a specific audience on Google so that we don’t waste time on the wrong leads. 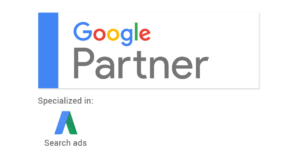 BrandHeart has been able to consistently deliver quality website leads since they started managing our AdWords campaigns in 2015. BrandHeart wrote our marketing strategy, designed our company profile and developed our website where they continue to write regular articles about projects we want to feature. The owner and founder, Charlene Udal is very experienced in Digital Marketing. The team is incredibly talented, creative and very passionate about what they do, always going the extra mile and looking for new creative ideas that can be implemented to increase brand awareness and engagement. Being a Durban based company, we were able to regularly meet with them to discuss ideas and evaluate our social media, ensuring that it is alignment with our strategy and that our goals are being met.